More than thirty years after the Islamic Revolution in Iran, there are signs of a growing assertiveness on the part of Shii actors, at times erupting into political violence. The book addresses two key questions: What trends emerge in the types of militancy Shii actors employ both inside and outside of the Shii heartland? And what are the main drivers of militancy in the Shii community? 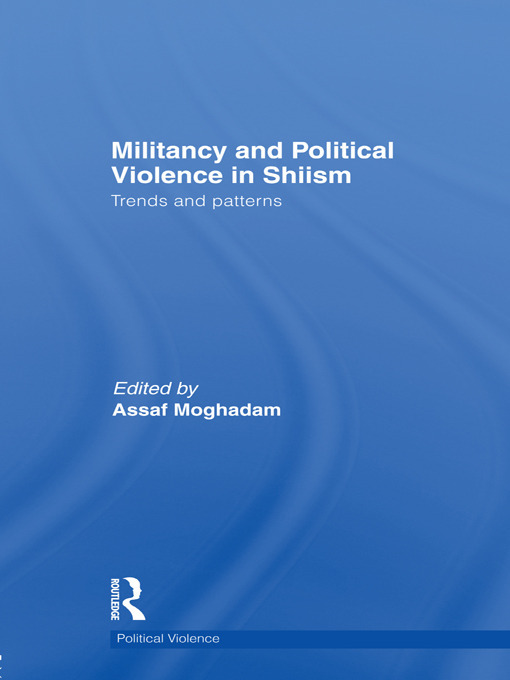 The editor concludes that although at present Shii assertiveness does not take on a predominantly militant form, a 'subculture of violence' does exist among most Shii communities examined here, and suggests five key drivers of political violence among Shiis: the impact of Iran; nationalism and anti-imperialism; Shii self-protection and communal advancement; mahdism; and organizational dynamics. This book will be of great interest to students and researchers of terrorism studies and political violence, war and conflict studies, and IR/Security Studies in general. Assaf Moghadam is Senior Lecturer at the Lauder School of Government, Diplomacy and Strategy at the Interdisciplinary Center (IDC) Herzliya, Israel, and Senior Fellow at its International Institute of Counterterrorism (ICT). He was previously Director of Terrorism Studies at the Combating Terrorism Center, and Assistant Professor in the Department of Social Sciences, United States Military Academy at West Point, USA. His publications include, as co-editor, Fault Lines in Global Jihad: Organizational, Strategic, and Ideological Fissures (also published by Routledge).